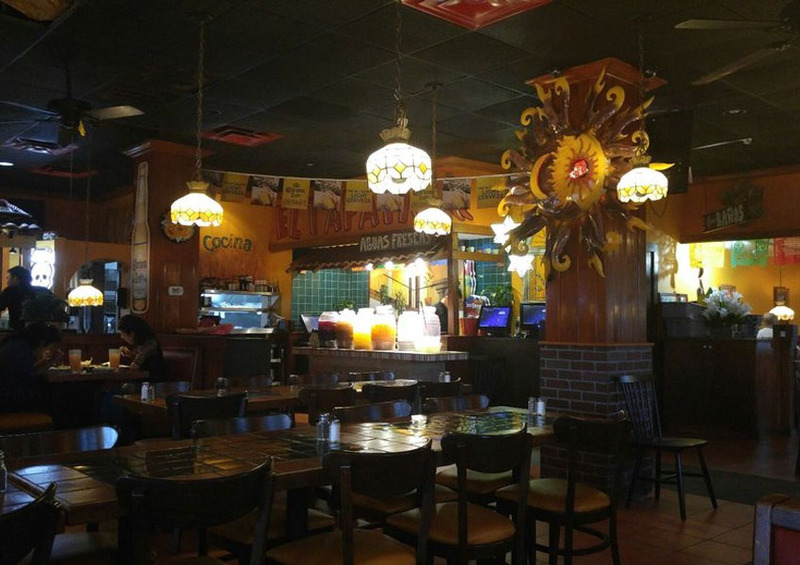 Serving The Best And Most Authentic Mexican Food In All Of Central Florida. 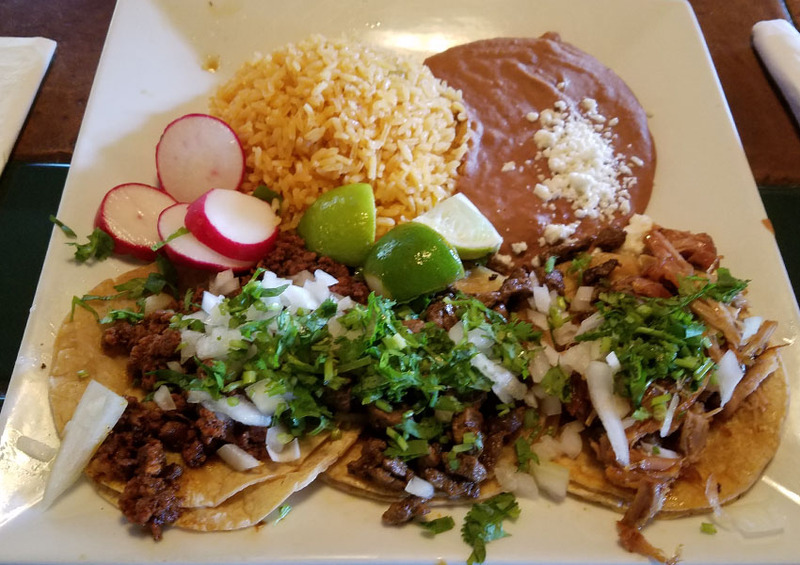 Founded by Oscar Perez in 2012 after many years of managing restaurants in Texas and here in Central Florida He decided to Open His Own. Our food is prepared from scratch everyday using only the freshed ingredients and our meats are marinated overnight with our signature spices, we know you will taste the diference. One Quesadilla, Nachos, and Chicken Flautas. Served with Bandera. Two Mini-Fried Chimichangas (1 Chicken, 1 Beef) and 3 Chicken Taquitos. Served with Bandera and Queso Dip. 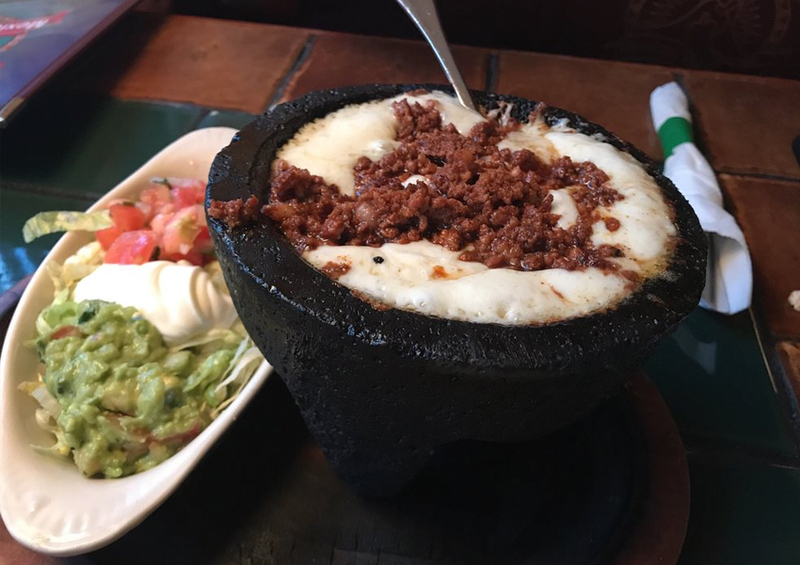 Melted Mexican Cheese with your choice of Mexican Chorizo or Mushrooms. Served with Bandera. Made with Fresh Hass Avocados. Beef or Chicken, Crispy Corn Tortilla topped with refried Beans, Lettuce, Tomatoes and Fresh Mexican Cheese. Topped with Queso Dip, Refried Beans, Lettuce, Jalapeño & Bandera. White Meat Chicken, Mexican Rice, Tortilla Strips, Cheese, Avocado and Chipotle Pepper. Lettuce, Tomatoes, Green Pepper, Onions, Cucumbers & Avocado. Toppe with Grilled Chicken or Steak. Grilled Fish or Shrimp served over Lettuce, Tomatoes, Green Pepper, Onions, Avocado and Cucumbers. Lettuce, Tomatoes, Peppers, Onions, Avocados and Cucumbers. Grilled Chicken, Shrimp, Steak and Chorizo. 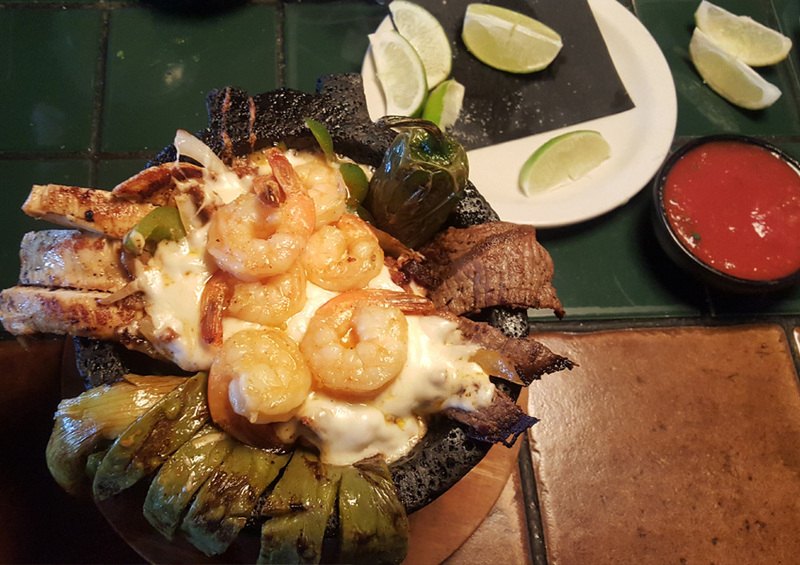 Served in lava Rock Molcajete with Onions, peppers, Nopal, topped with Melted Cheese. Mexican Rice, Refried Beans and Bandera on the Side. Skirt Steak served with grilled Onions, Nopal, Mexican Rice, Refried Beans and Bandera. Thin Flank Steak served with Mexican Rice, Refried Beans & Bandera. Grilled Ribeye and Shrimp with Onions and Green Pepper. Served with Mexican Rice, Refried Beans and Bandera. Thin cut Steak Sauteed with Tomatoes, Onions and Jalapeño. Served with Mexican Rice and Refried Beans. Ribeye Steak topped with Ranchero Sauce. Served with a Mexican Potato, Vegetables, Mexican Rice and Refried Beans. Ribeye Steak topped with Nopal, Onions, Tomatoes, Mushroom, and Cheese. Served with Mexican Rice, Refried Beans and Guacamole. Michoacan style Marinated Pork Carnitas. 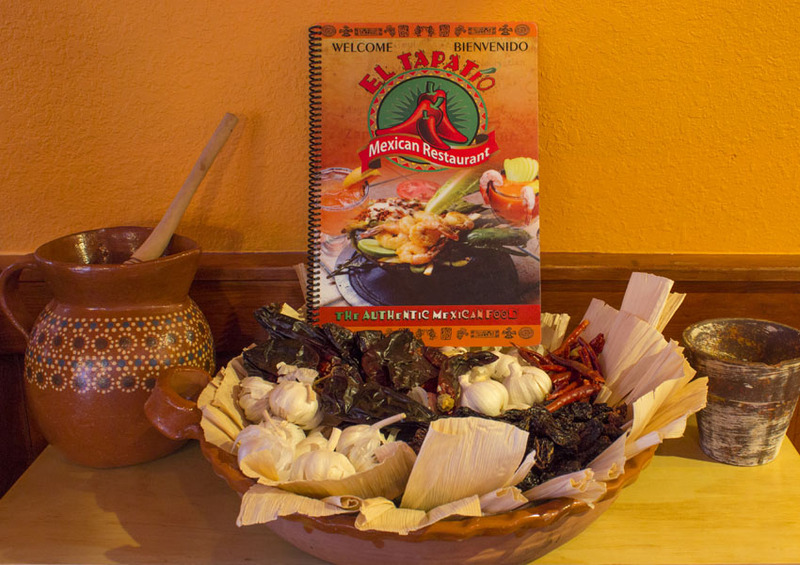 Served with Grilled Onions, Jalapeños, Mexican Rice, Refried Beans and Bandera. Grilled Chicken Breast topped with Ham, Onions, Tomatoes, Mushrooms, Chipotle Pepper & Cheese. Served with Mexican Rice & Refried Beans. Chicken Breast covered in Mole Sauce. Served with Mexican Rice & Refried Beans. Grilled Chicken Breast topped in Onions & Peppers. Served with Mexican Rice & Vegetables. Thin Flank Steak topped with grilled Onions. Served with Mexican Rice, Refried Beans & Bandera. Grilled Beef Ribs. Served with Mexican Rice, Refried Beans & Bandera. Steak, Chorizo, Chicken, Pork and Ham with a mix of onions, peppers and topped with Queso Fundido. Served with Mexican Rice and Beans. Mexican Style Shrimp Cocktail. Served in our Special Sauce with Onions, Cilantro and Fresh Avocado. Shrimp in Garlic Sauce. Served with Mexican Rice, Vegetables and Salad. Shrimp with Chipotle Sauce. Served with Mexican Rice, Vegetable and Salad. 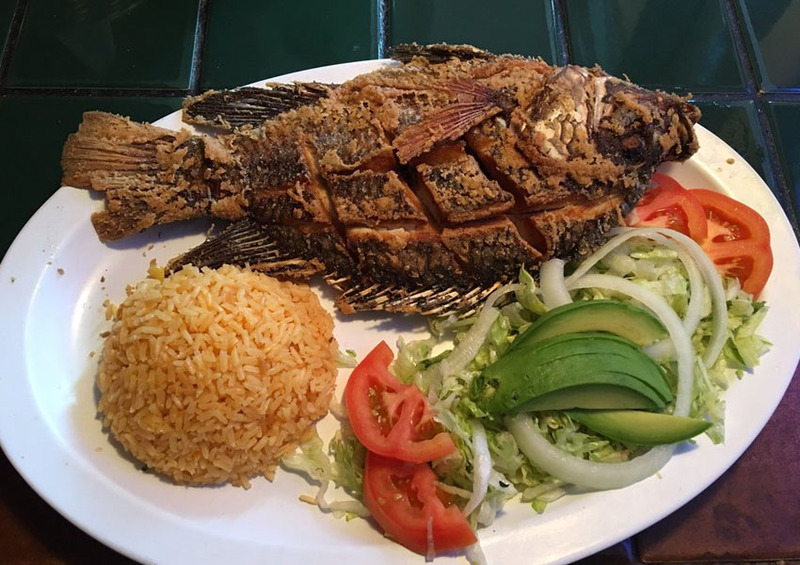 Whole Fried Fish with Garlic Sauce or Diabla Sauce. Served with Mexican Rice and Vegetables. Fish Marinated in Citrus Juice, Tomatoes, Cilantro, Onions and Avocado. Served with Mexican Rice, Cucumbers and Vegetables. Shrimps Fajitas with Onions and Bell Peppers. Served with Mexican Rice, Refried Beans and Bandera. Served with Mexican Rice, Refried Beans and Bandera. Four Enchiladas Green or Red topped with Cheese and Sour Cream. Served with Mexican Rice and Refried Beans. A Fried Burrito Topped with Queso Dip. Served with Mexican Rice, Refried Beans and Bandera. Stuffed with Grilled Onions and Peppers, Topped with Queso Dip. Served with Bandera. Topped with Red Sauce, Lettuce, Shredded Cheese, Sour Cream and Tomatoes. 1 Burrito and 1 Enchilada Topped with Lettuce, Shredded Cheese, Sour Cream & Tomatoes. Choice of Red or Green Sauce, Topped with Beef or Chicken, Sour Cream and Fresh Mexican Cheese. Served with Mexican Rice and Refried Beans. Three Homemade Tamales, Topped in Sauce and Cheese. Served with Mexican Rice and Refried Beans. Five Chicken Flautas Topped with Lettuce, Tomatoes, Sour Cream and Cheese. Served with Mexican Rice and Refried Beans. Flour Tortilla Stuffed with Mexican Rice and Refried Beans, topped with Red Sauce and Queso Dip. Served with Bandera. Three Mexican Tacos, topped with Cilantro and Onions. Served with Mexican Rice and Refried Beans. Mexican Sandwich with Lettuce, Onions, Tomatoes, Jalapeños, Mayonnaise, Cheese and Avocado. Homemade Thick Corn Tortilla stuffed with Refried Beans, Avocado and Cheese. Homemade Tortilla Shell topped with Refried Beans, Lettuce, Tomatoes, Sour Cream and Cheese. One Poblano Pepper Stuffed in Mexican Cheese, cover with our Special Sauce. Served with Mexican Rice and Refried Beans. Grilled Brocoli, Squash, Cauliflower, Bell Pepper and Mushrooms. Served with Mexican Rice, Refried Beans and Bandera. Sfuffed with Onions and Peppers, Topped with Queso Dip served with Bandera. Two Cheese Enchiladas Topped with Grilled Onions and Peppers, Served with Bandera. 1 Burrito and 1 Enchilada, Topped with Lettuce, Shredded Cheese, Sour Cream and Tomatoes. Lettuce, Refried Beans, Queso Dip and Bandera. 2 Eggs Topped with Red Sauce, Served with Mexican Rice and Refried Beans. 2 Scrambled Eggs with Mexican Chorizo, Served with Mexican Rice and Refried Beans. 2 Eggs over Thin Flank steak, Served with Mexican Rice and Refried Beans. 1 Taco and 1 Enchilada, served with Mexican Rice and Refried Beans. 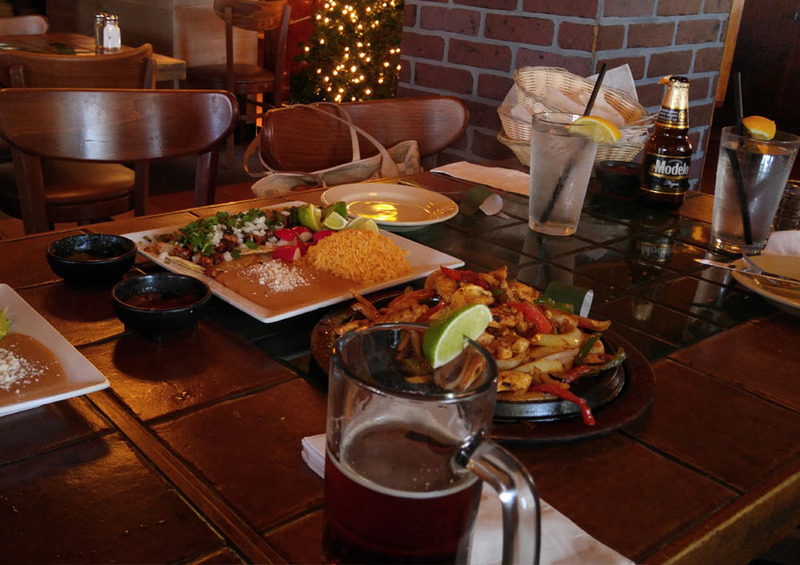 Luch Portion of Fajitas, Served with Mexican Rice, Refried Beans and Bandera. Shrimp Quesadilla Stuffed with Onions and Peppers, Served with Mexican Rice, Refried Beans and Bandera. Chicken Soup, Chicken Taquitos and Tostada. 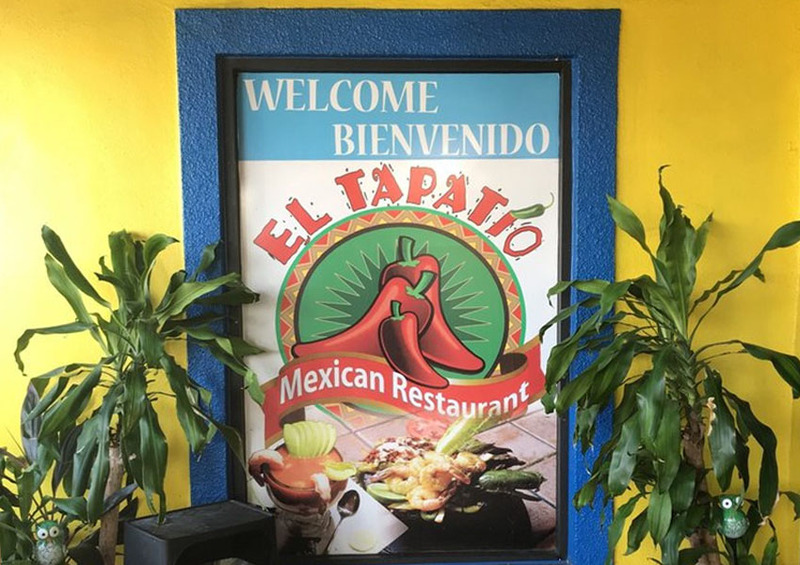 El Tapatio Mexican Restaurant, serving the best Mexican food in Central Florida. Copyright © 2019 El Tapatio. All rights reserved.